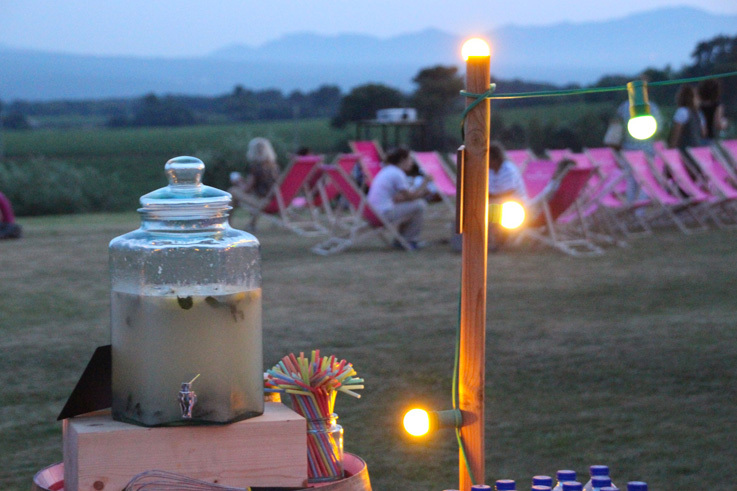 At the heart of the Provençal vineyards, nestled at the foot of the Sainte-Victoire Mountain, Chateau Gassier invites you to an outdoor cinema screening during the warm evenings of summer. Enjoy this timeless moment, preceded by a gourmet tasting. In the heart of the Provençal vineyards, enjoy a timeless moment at the foot of Sainte-Victoire Mountain! 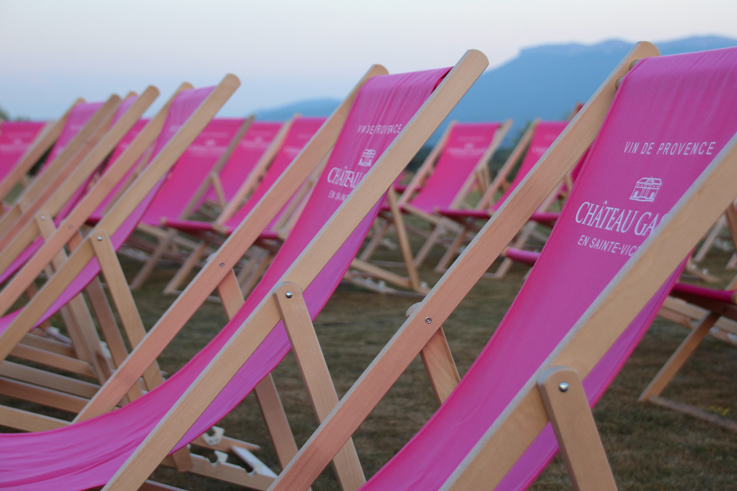 Comfortably seated in a deck chair, relax with family or friends at the Chateau Gassier and watch a film by starlight. Before the film, you can taste the delicious plates of cured meats (charcuteries) and local cheeses accompanied by a glass of Le Pas du Moine wine from the wine district of Côtes-de-Provence-Sainte-Victoire.